The show, organized by Reed Exhibitions and ITE Moscow is the leading one in its sphere. Industry professionals rate AQUA-THERM Moscow as the best event for technologies in the HVAC industry. The largest and leading organizers and creators of Mostra Convegno, Batimat, MosBuild, Intertool, etc. in partnership with major associations and industry bodies. The unmatched network of world-wide organizing offices ensures truly global events with exhibitors coming from all corners of our planet! AQUA-THERM 2013 will be held at Crocus Expo – Moscow state of the art exhibition venue for trade events- conveniently located between Moscow’major airports, business district and city centre and offering excellent transportation infrastructure. Today, the subject of energy-saving, environmental safety and efficiency is becoming the keynote, and Aqua-Therm Moscow Exhibition, being the leading business platform of the industry, is paying special attention to this innovative area. 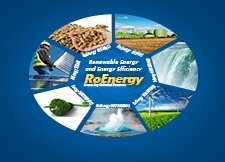 Organizers intend to further develop New Energy project and provide maximum support in promotion of products and services of project participants.